Samsung will not entertained phones bulk orders from single IP address and Name. No missing sales will entertained. No commission on the exports orders which are purchased and then exported. No commission on the orders which are purchased -> activated in India and then exported. Samsung will be paying for M series phones. 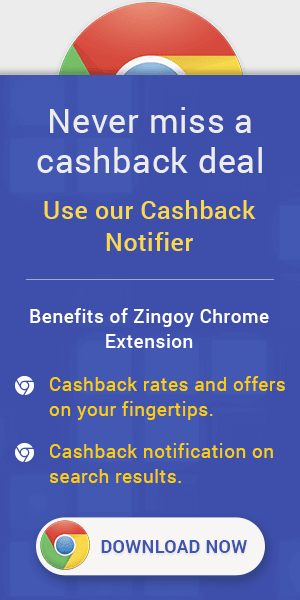 Cashback will get tracked at the lower amount, the correct cashback will be updated within 48 hrs. Earnings from Samsung eStore made can be redeemed as vouchers or in Bank account. Multitask effortlessly between power hungry apps, games with an all-new 14nm 1.8 GHz Exynos 7904 Octa Core Processor and the blazing fast LPDDR4x RAM. The Galaxy M30 is an entertainment powerhouse with Widevine L1 Cerrtification to stream HD content and Dolby ATMOS 360° surround sound that will get you hooked on to your videos and music*. The new Galaxy M30 emits low radiation with 0.409W/Kg head SAR value. * That makes it one of the safest smartphones out there in addition to its power-packed performance. The Galaxy M30 introduces you to sharper contrast and exceptional dynamic color for an immersive viewing experience. Accentuate your best features and click fabulous selfies with the 16MP front camera of the new Galaxy M30. Go through your day without a worry, with the 5000 mAh battery. Also, get an in-box 15W Type-C fast charger for 3X faster charging capability. Fast is in its DNA. The Galaxy M20 can multitask with gaming, videos and social media without breaking a sweat. Now shoot from one extreme to the other without FOMO. Set #SquadGoals by clicking group photos from the Ultra Wide Dual Rear Camera. Get perfect shots in low light with F1.9 aperture & great portrait shots with live focus feature. The Galaxy M20 comes with a stunning 16cm (6.3") infinity V display. Its near bezel-less edge to edge FHD+ screen gives you an immersive viewing experience. Power through your day with the massive 5000 mAh battery. Get an in-box 15W Type-C fast charger that gives you 3X faster charging capability. Get perfect shots in low light with F1.9 aperture & great portrait shots with live focus feature. Just fire up the front camera for lit selfies on your social feed with the In-Display Flash and F2.0 aperture. Do more with your phone and do it faster than ever before with the powerful 1.6GHz Exynos Octa Core Processor. It’s time to take your phone viewing experience to the next level with a powerful 15.8cm (6.22") infinity V display. Now shoot from one extreme to the other without FOMO. Set #SquadGoals by clicking group photos from the Ultra Wide Dual Rear Camera. A device unlike any before. Galaxy Fold doesn't just define a new category, it defies category. A stunning 18.51cm(7.3") Dynamic AMOLED display that defies expectations. Made of a revolutionary polymer material layered for slim flexibility, it's the largest Galaxy smartphone screen yet. An engineering marvel inspired by the precision of watch mechanics, the hinge delivers symmetrical movement that gently locks in place. So Galaxy Fold intuitively folds like a book. Features : 32MP Triple Camera with Super Slow-mo Videos. 17.03cm (6.7") FHD+ Super AMOLED Infinity-U Display. 4,500mAh battery with 25W Super Fast Charging. Get U Flex Headphone (Black) worth ₹3,799 at ₹999/- only. EMI starts from ₹2,498.81/ month.